23957 Arroyo Park Drive, Unit 146, Valencia, CA, 91355 new listing as of 02/20/2014 in the Valencia 1 neighborhood, Arbor Park condominium tract of Valencia CA in the city of Santa Clarita CA. This great 2 bedroom 2 bathroom town home has 1260 square feet close to California Institute of the Arts, Valencia town center and Valencia paseo system. See more below. All Santa Clarita condos and town homes – new listings click here. Heart of Valencia location. Nice upper unit in the highly desirable gated Arbor Park Community. Two bedrooms plus spiral staircase leading to loft with its own patio. Two additional patios on the main floor. Plantation shutters throughout the home, indoor laundry, ceiling fans, one car garage and plenty of guest parking. 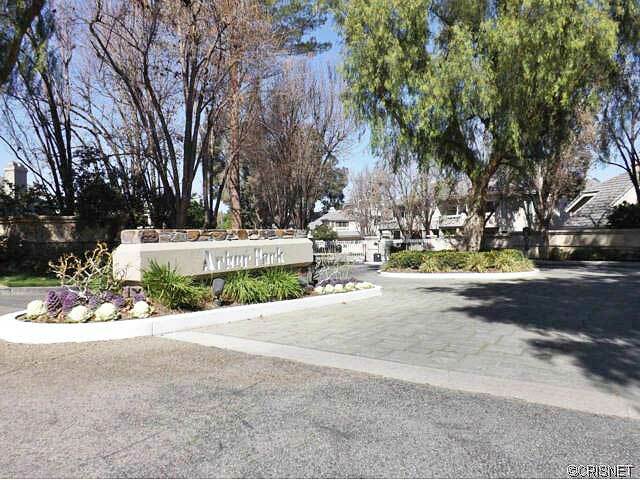 Gated access to Valencia Summit Park, walking trails and paseos. Walking distance to dining, shopping, parks, and school. Convenient to the I-5 freeway. Schools for this home are Hart High School and Placerita Junior High School. All excellent schools and one of the reasons many new home owners with children find reason to purchase in the Valencia 1 neighborhood of Arbor Park condos.